At All In One Electrical Heating and Cooling, we’ve helped many people in Santa Fe save energy and increase the comfort of their homes with a professional and friendly ceiling fan installation. Our licensed electricians and several years of experience working in Santa Fe make us equipped to safely handle anything that comes up, including hard-to-reach areas, complex electrical systems, and much more. Take the stress out of fan installation and let the pros at All In One Electrical Heating and Cooling do it for you. Whether you just bought a brand new home to be built from the bottom up or are considering gutting and updating your existing kitchen, at All In One Electrical Heating and Cooling we know that one of the last steps homeowners in Santa Fe take is installing large kitchen and laundry room appliances. We also know that this can be one of the most challenging tasks, as many of these appliances have specialty requirements that can wreak havoc on your home if improperly installed. That’s why many homeowners turn to All In One Electrical Heating and Cooling. We take the guesswork out of appliance installation in Santa Fe and provide friendly, reliable service every step of the way. With qualified commercial electricians on our team, All In One Electrical Heating and Cooling provides expert commercial installations and repairs. We are licensed and insured contractors, and proud to provide service in Santa Fe. As professionals in the industry, we are equipped to handle all of your commercial electrical needs. 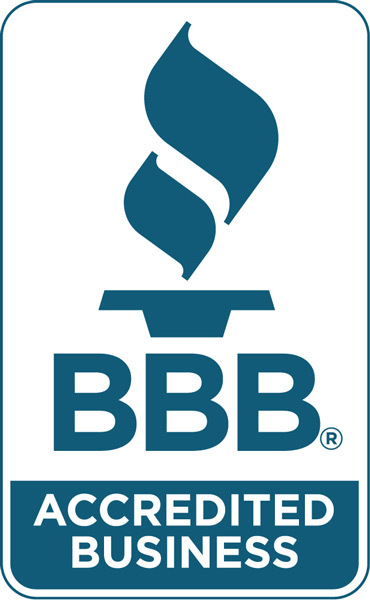 We work diligently to maintain our reputation as the highest-rated commercial electricians in Santa Fe. At All In One Electrical Heating and Cooling, we understand the importance of keeping current with the latest education, certifications, and qualifications that the industry has to offer. We are available on your schedule, provide outstanding customer satisfaction, and can assist with small wiring jobs to large contract bids. Welcome to All In One Electrical Heating and Cooling. We are a locally owned company serving Santa Fe and the surrounding area and our team of professionals is dedicated to helping you with all of your electrical needs. Our quality, integrity, and affordable prices have earned us a reputation as industry leaders. A specialist will assist you through every step of your electrical project and provide premier electrical services to commercial and residential clients like you. When you need quality electrical repair in Santa Fe, trust the experts at All In One Electrical Heating and Cooling. Adding a hot tub or sauna to your home is a great way to increase the value and enjoyment of your property. You want your new addition to be a place where you can relax and de-stress, not to be a source of constant headaches and frustrations. That is why hiring the best hot tub and sauna electrical professionals you can find is so important. Regardless of whether your new hot tub is inside of your home or outside, contact All In One Electrical Heating and Cooling to get everything installed and wired properly to prevent safety, electrical, and security issues. Safety and security are two fundamental applications for exterior lighting in Santa Fe. They are comparable in nature, so the same lighting fixtures can often accomplish similar purposes. For instance, security lighting helps reduce home invasions and vandalism. Safety lighting protects homeowners and their guests from injuries caused by trips and falls in places that are not well lit. Landscape lighting is one of the most significant improvements that you can make to your home, regardless of its shape, size, or elevation. At All In One Electrical Heating and Cooling, we offer complete landscape lighting design solutions to add beauty and security to any home. Your home is an investment, and the best way to keep up your property value is to make it look and feel good. All In One Electrical Heating and Cooling is committed to enhancing the visibility and appeal of your home to make it a safer and more enjoyable place. We provide exceptional quality lighting installation services to Santa Fe homeowners. Regardless of the size or scope of your lighting installation project, we have the skills, expertise, and materials to make it work. Building a home from the bottom up is an exciting prospect for any resident of Santa Fe. Once the foundation is up, many homeowners start to envision what the final result will look like, until they realize they still have to wire their entire home for electrical systems. That’s where we come in. All In One Electrical Heating and Cooling is proud to be the contractor of choice for new construction electrical services in Santa Fe. We ensure all electrical components are installed safely and up to code specifications. At All In One Electrical Heating and Cooling, we keep you informed every step of the way so you’re never left in the dark. As a homeowner, you are tasked with the responsibility of overseeing your home’s safety, comfort, and functionality. That’s why it helps if you are always prepared for the unexpected. When the lights or power goes out in your home, the last thing you want to do is wait. Each moment that your electricity is out, the less safe and secure your home becomes. Keep Santa Fe area power failures from being an issue by purchasing a standby generator you can depend on. Remodeling your home can be quite an expansive project, especially when it comes to renovations of electrical components. Fortunately, All In One Electrical Heating and Cooling has the skills necessary to help residents of Santa Fe undertake a complete overhaul of their existing electrical systems. Such overhauls can be an important part of remodeling jobs, which aim to make your home more functional as well as increasing visual appeal. A well-functioning home electrical system requires routine upkeep to ensure a safe, comfortable environment is maintained. To this end, All In One Electrical Heating and Cooling provides people of Santa Fe with superior electrical services thanks to their vast experience in the field. That’s why those in search of a quality residential electrician look to All In One Electrical Heating and Cooling as a leader in the industry. Cable infrastructure is the foundation of modern information systems and, as a result, businesses in the area need to invest in their cabling systems to keep up with the competition. You may be getting by with a point-to-point cabling system, but for how much longer?